A recent investigation by the Humane Society of the United States found that Puppy Parlor aka Poochie Puppy Parlor at 4707 Main Street in Lise, IL sells mills puppies. 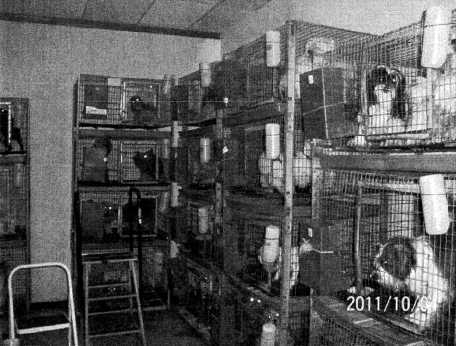 As if that was not horrible enough, an inspector found they stacked adult breeding dogs in very small cages atop one another in their backroom, see the photo below from their location from October of 2011. This is is inhumane and the same horrible, confining, treatment puppy mill breeding dogs endure (just with a showroom). Backyard breeders, puppy mills, and stores like Puppy Parlor that run their business like a puppy mill subject their breeding dogs to an entire life in small cages – like you see above! We domesticated these creatures, they should not be treated live livestock. Puppy Parlor had an outbreak of Parvovirus in 2011 which killed upwards of 6 puppies. Parvovirus is a deadly disease (most deadly to puppies) and is associated with unhealthy living conditions. Furthermore, The public has reported no heat or hot water in the store, puppies with no food or water, and puppies dying. If you visited this store or purchased a puppy from Poochie Puppy Parlor and have seen any of this or worse conditions (or purchased a sick puppy) please report it immediately! Aside for their own violations, they also purchase puppies from puppy mills! On their website they state that “[We at Puppy Parlor] breed, and rehome pets, rescue, and have a relationship with breeder that we have been associating with for over 25 years.” However, the HSUS investigator revealed via certificates of veterinary inspection that Puppy Parlor purchased their pooches from mills and mill resellers. The list of mills they get their pooches from included Conrad Kennel in Iowa. That puppy mill violated the federal Animal Welfare Act by the USDA. That mill has been noted for dogs with matted coats and filth. Some of the other culprits that contribute to the Puppy Parlor pooches are large puppy brokers in Iowa – Oleo Acres Kennel and JAK’s Puppies Inc. These two buy puppies from mills and resell them. The mills they are associated with have also been noted for various violations. A complete report can be found on the HSUS website here. 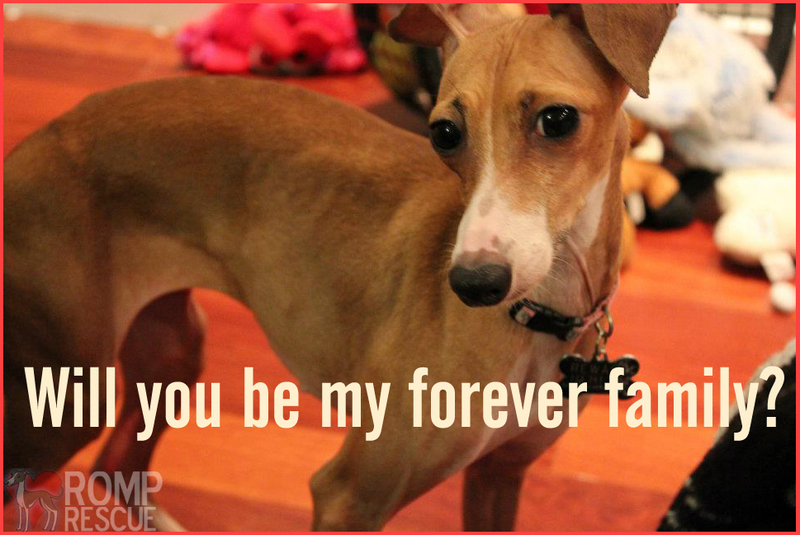 Puppy mills breed misery, do not fund the problem. If you are looking for a family friendly, HEALTHY dog from a reputable rescue that will be there to make sure you have the best relationship with your canine, check out our list here or you can find other furry friends of all ages and breeds from rescues on PetFinder. This entry was posted in ALL, News and tagged 4707 main st, 4707 Main St lisle, 4707 main street, 4707 Main Street lisle, lisle, lisle poochie parlor, lisle puppy mill, lisle puppy parlor, lisle puppymill, poochie parlor, poochie parlor lisle, poochie parlor puppy mill, poochie parlor puppymill, puppy mill, puppy mill lisle, puppy mill puppy parlor, Puppy Parlor, puppy parlor lisle, puppy parlor puppy mill, Puppy Parlor Sells Mill Puppies. Bookmark the permalink. There is a Puppy mill near San Antonio Tx its called granny grumps pups. the puppyies for sale are in a room like the photo above. The moms and dads and tiny puppies are kept in a barn and shed on the property. I wrote to the local news stations and got no response. Who will actually do something? Can y’all contact someone? More than a hundred dogs I estimate closer to two hundred. We are based in Chicago and don’t have a good reach in Texas but please contact http://www.thepuppymillproject.org/ and see who they have out there that can help. Keep in mind, regulatory standards are sad and the size of their cages might actually pass the requirements for pet shops / mills / etc. which is why the people you contacted were unable to help. As an animal advocate, we hope the standards change as the conditions that are required are sub-par and much, much less than what a dog deserves.